Give him the freedom to play safely at home. Numbers quoted are averages based on fencing 1/2 acre. Prices may vary. 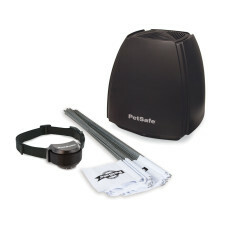 Check out the Pet Fence Planner to see which layout is best for your yard. 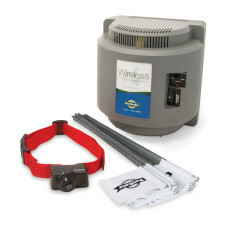 The wireless transmitter sends a circular signal around your yard. 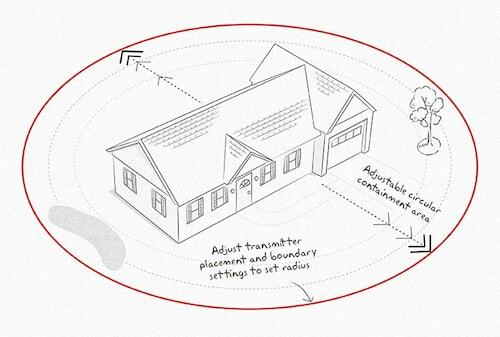 Smaller yards can easily be contained with one transmitter. Yard shown is 210 x 210 feet. Our wireless fences have given millions of pet owners the perfect combination of features: quick installation, adjustable collar settings, portability, trusted reliability, and so much more. Yard happiness is affordably yours! Installation in a Snap. No tools. No wires. Start enjoying the yard sooner! Easy to Adjust. 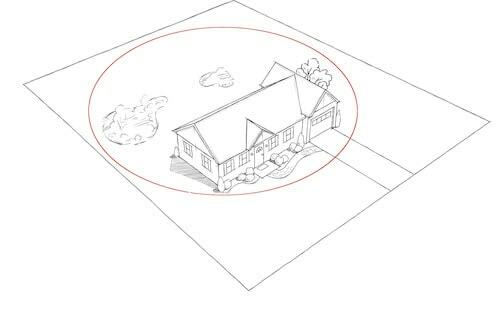 Change yard boundaries quickly and easily. Less $$$, Less Fuss. Thousands of dollars cheaper than a traditional fence. Travels with You. Visiting friends? Camping? Simply plug, train, & play! 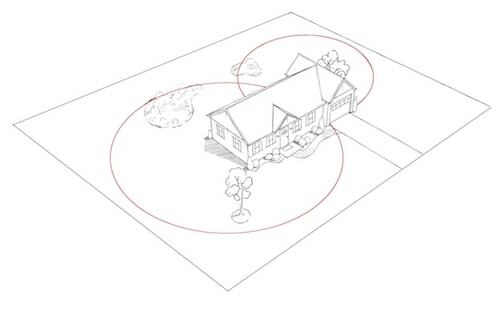 If your yard is larger than a few acres, we recommend In-Ground Fences™ Systems. 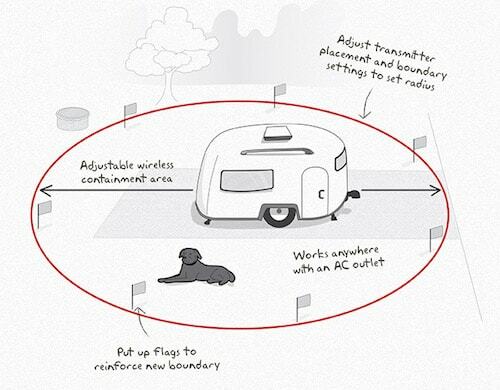 You'll set your pet's boundaries by turning a knob on the transmitter to create a wireless circular boundary for your pet. 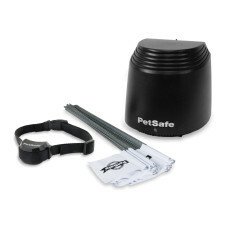 Once the boundary is set, the transmitter sends radio signals to the receiver collar your pet wears. You'll teach your pet to listen for a warning tone or vibration as he nears the boundaries of the yard. If your pet continues, he will receive a safe but surprising static correction from the collar, reminding him to stay in the yard. Add an unlimited number of pets! No pet gets left inside! Every dog and cat in the family (large or small) can receive signals from the same, single transmitter. 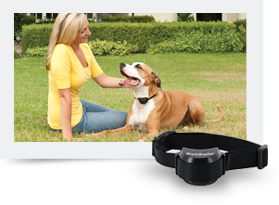 Once you purchase a wireless transmitter, choose from our additional wireless collar receivers (sized for each dog or cat) and it’s outdoor freedom for every paw in the family! Bring your pets with you when you leave town-- no need to find a sitter or kennel. 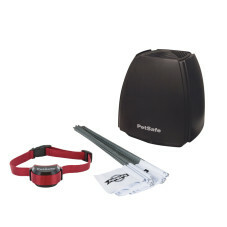 With so many pet-friendly cities and places to visit, portability is perfect! 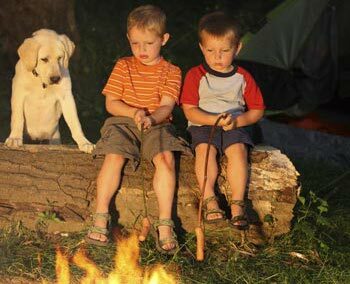 Just find an outlet, set the boundaries, and reinforce your pet's training for safety, freedom, and fun away from home. 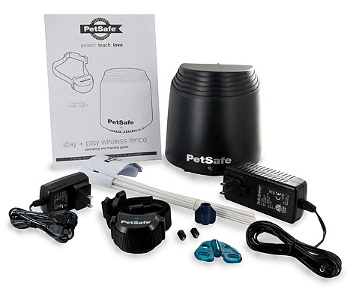 Lynn tells the story of her Chihuahua mix and how a PetSafe wireless fence kept her clever little dog safely away from nearby roads. "It worked beautifully ‘cause she never left the yard again…. 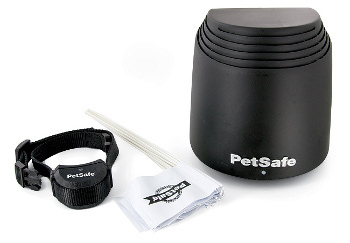 PetSafe has done a great job of keeping my dogs safe." Is your containment system ready for spring? What containment system is right for you?